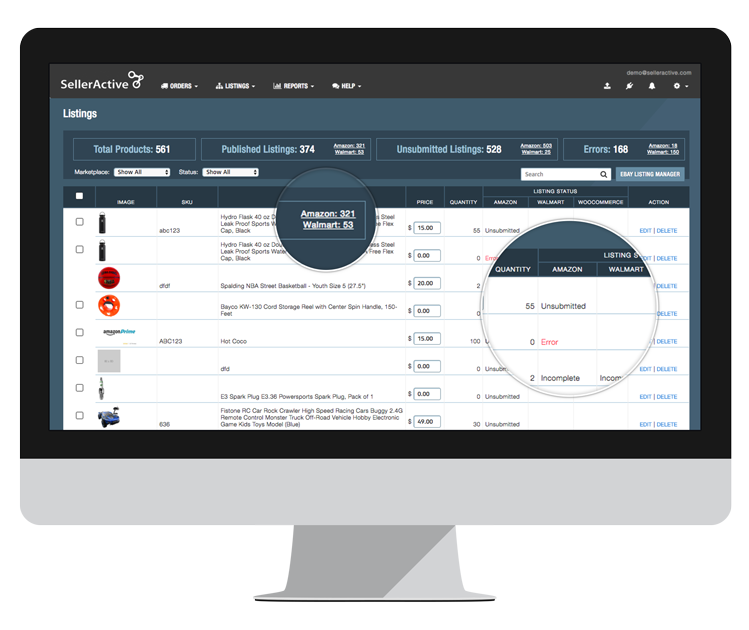 Easily build a centralized product catalog inside SellerActive, and bulk upload your new listings to Amazon, and more. With bundle uploading, you can quickly link multiple SKUs under one listing, and with variation support, you can save time by importing multiple colors and sizes to SellerActive. Use SellerActive’s powerful algorithmic repricing technology to help you capture the Buy Box an average of 72% of the time. There’s no one-size-fits-all solution with repricing, so SellerActive offers multiple strategy options: target rank, price mirroring, velocity, rule-based, and more. Handle orders from Amazon, and every other marketplace, from one browser-based dashboard. 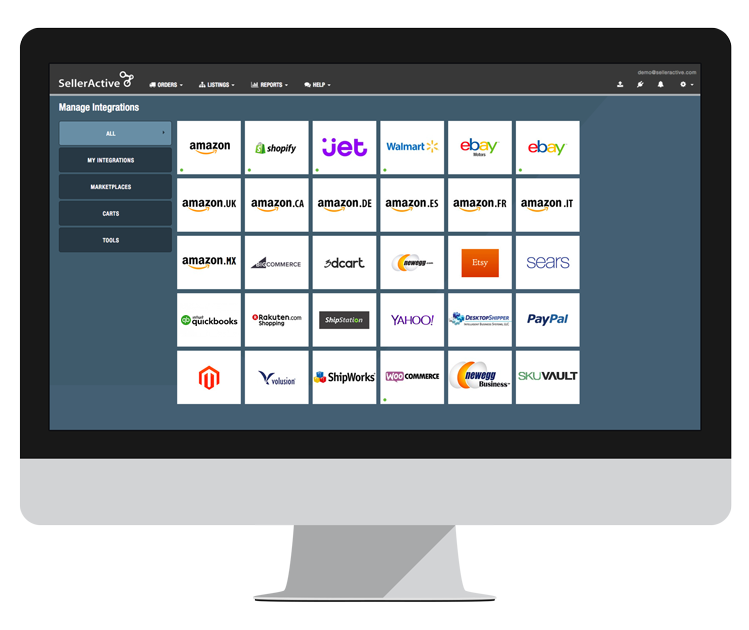 SellerActive is fully integrated with Fulfilled by Amazon (FBA), so you can take command of your listings, prices and orders. You can even use your FBA inventory for cross-channel fulfillment with eBay, Shopify, and more. Amazon sellers see 22% average revenue growth in the first 60 days of using SellerActive.